Ever since the Food and Drug Administration (FDA) had a press conference warning Americans to avoid plastics with BPA we have been reviewing baby bottles without the harmful chemical. The label to look for on plastic dishware, bottles, and containers is, “BPA-free. ” The plastics to avoid will be labeled with, “3, 7, or PS” on the packaging. 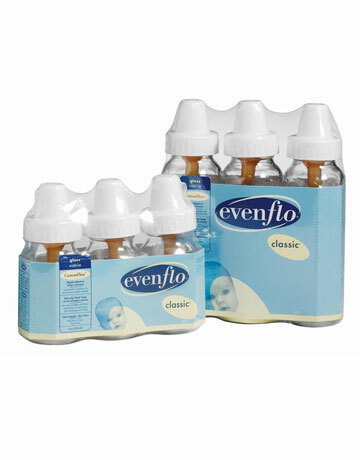 What do you like about the Evenflo Glass Nurser? I do not love the straight and narrow neck. I prefer angled bottles, but what can I do? The parents make the purchases and I use what they provide me with. The only thing these bottles are good for is milk storage. They screw right into breast pump which is great. But when feeding a baby they leak wasting a lot of milk and making big messes. I think the babies that use these have more gas and more air bubbles. Dr Brown’s reduces bubbles and gas the best.From, Liz Orangeville Ont. These are my favorite baby bottles. Highly recommend them!